Four residents of Yorktown, Indiana are under attack for getting in the way of redevelopment plans. The city wants to demolish their homes and use the land to build a pedestrian bridge across Buck creek and build a court yard and games behind the bridge. The city has already started condemnation proceedings against Janice Ross, an elderly widow and one of the four residents in this case. In fact, all of the residents threatened with eminent domain are elderly and include a couple and two widows, one of whom is a 91 year old blind woman. Ruby Martin, the 91 year old blind woman, would probably not survive the stress of forced removal and relocation and the health of the other three residents would also be put in peril, but this is not the full extent of the injustice being committed. The city already owns an adjacent lot that could be used as the redevelopment site, which would save them the expense of litigation, but perhaps they targeted these residents knowing they are too frail and poor to fight back. It is not hard to see that preserving the homes of long time residents should be given higher priority than a pedestrian bridge and courtyard, but to the psychopaths in city hall any extra revenue is worth the lives of their own residents. The city of Vancouver recently implement a vacancy tax on all unoccupied residential properties that could curb foreign land speculation and generate $38 million in annual revenue for affordable housing and other public services. The city currently has 2,538 vacant homes and 2,181 homeless residents, 659 of whom are unsheltered; this marks a 2% increase from the previous year. The $38 million could go a long way to reducing and eventually eliminating homelessness. The vacancy tax could also be an incentive to rent or lease property lowering the overall cost of housing and allowing more people to live in the city instead of commuting; however, the tax is only assessed on 1% of property values so its impact may be minimal. A much higher vacancy tax rate coupled with a reduction or elimination of the property tax assessed on buildings and improvements would go much further in making housing more affordable for everyone. Super PACs have figured out how to run ads without disclosing their donors until after elections. Under the Citizens United v. FEC ruling, Super PACs can spend an unlimited amount of money on political ads, but they must disclose their donors. 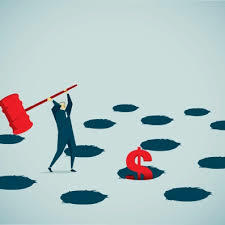 However, a growing number of Super PACs have begun to circumvent this rule by forming the day after the deadline for reporting donors and not reporting donors until after election day. Others go into debt to buy political ads and pay it off with donations after the election. During the 2018 congressional races, 63 super PACs adopted one of these two tactics and spent a total of $21.9 million on campaign ads and mailers without revealing the source of their funding. A major advantage of super PACs is that they allow politicians and their supporters to defame their opponents without being liable. The anonymity they provide allows the supporters of certain politicians to make false and malicious claims about their opponents without the risk of being sued for defamation. Recent examples include Roy Moore, a Republican senate candidate for a special election in Alabama who was smeared by a rival candidate’s Super PAC as a sexual predator on the basis of mere hearsay. During a 2012 mayoral race for Honolulu, Hawaii, the former governor of Hawaii, Ben Cayetano was falsely accused of taking kickbacks and illegal campaign contributions by a rival super PAC. Unfortunately, Super PACs can also be a disadvantage for the candidates they are supposed to represent. Such was the case for 2013 Virginia Gubernatorial candidate Ken Cuccinelli, who sued a Super PAC that used his name and likeness under a false advertising statute. Super PACs make what could otherwise be intelligent debate about policy into smear campaigns and scare tactics that appeal to the lowest common denominator. But perhaps the best selling point of super PACs and the whole charade of private campaign finance laws is that they further entrench the political duopoly by making political discourse a function of the amount of money you can raise. Inevitably, this process tends to favor billionaires like Jeff Bezos and corporate interests like Amazon or, for instance, the entire defense industry, who have the most money to throw around and are heavily invested in a two party system that’s much easier to control than a political plurality. 36 of the the world’s 100 richest people are U.S. citizens and 30 of them regularly donate to political action committees. Out of the $184 million that billionaires contributed to the 2016 election cycle, 92% of it was donated to PACs and Super PACs. A political plurality, wherein more than two parties and independent candidates share power, can only be achieved through mandatory publicly funded elections. Every means of private campaign financing, especially Super PACs, should be made illegal and every candidate for any office who receives support from at least 5% of the electorate should be given an equal lump sum to spend directly on campaign activities. Candidates could qualify for government funds either through a petition or a preliminary poll. The details could be hashed once the country decides to abandon the inane belief that corporate propaganda and character assassinations is somehow the height of free speech . Such a plan would also require a constitutional convention, so it would be much easier to implement at the state and municipal level where constitutions are more readily amended. The actual origin of property in land, which here is not restricted in meaning to the earth’s surface, but includes all natural resources, is not the benign mixture of labor with raw material, but in conquest and bloodshed. Landed property, as distinguishable from property in capital and consumer goods that are man made, is a creature of the state not self-reliant homesteading. 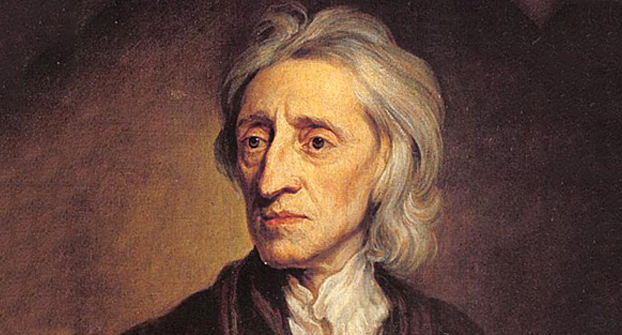 This is very obvious if we examine the historical record instead of quote mining John Locke’s treatise. Much of the territory that makes up the U.S. was purchased by the federal government from other national governments. The territory of thirteen states was purchased from France in the Louisiana purchase, Florida was purchased from Spain, and Alaska was purchased from the Czar of Russia. Territory that was not purchased from other national governments was either purchased from the tribal nations inhabiting them or taken as the loot of war (e.g. treaty of guadalupe hidalgo). And of course, the original thirteen states were established by the British crown as colonies for the purpose of building the wealth of the British empire according to mercantilist theories. Furthermore, land ownership in America is based on the doctrine of discovery not homesteading. The closest thing to homesteading was when some early settlers purchased land directly from Indian tribes. However, their land rights were later deemed void by the ruling in Johnson v. M’Intosh which made it illegal for tribes to sell their land to private citizens and gave the federal government the exclusive right to negotiate land transfers with the tribes. This encoded the doctrine of discovery, the old colonial era belief that only European Christians have a right to own land in the new world while non-christian natives just have a right to occupancy, into U.S. law. Under the doctrine of discovery, or the principle of discovery as Justice Marshall called it, the U.S. inherited ownership of North America from Britain after the revolutionary war and the various European nations it purchased territory from (i.e. Spain, France, Russia). The European nations whom the U.S. inherited the land from acquired the land by “discovery” i.e. by having their christian explorers set foot there and claim it for them. In many cases this was as simple as planting the flag of their monarch on the newly "discovered" land, which I guess could be construed as mixing one’s labor with the land. Historical revisionism aside, the homesteading principle may prove useful in the future when people discover newly formed islands around the pacific rim or when we colonize mars, but for now it is a tired relic of liberal mythology. Different leaders rely on different leadership styles and this is no less true of presidents. Depending on the situation they are facing, different leadership styles might serve better than others. For instance, the transformational leadership style tends to be the most suitable when groups or organizations facing uncertainty and need organizational innovation to create a better future (Dierendonck, Stam, Boersma, Windt, & Alkema, 2014). However, charismatic leadership also tends to be effective in crisis situations when people are under great stress (Robbins & Judge, 2017). The last two U.S. presidents use these leadership styles to some degree. Although both former president Obama and president Trump use charisma, they tend to differ on other leadership dimensions. The contention of this paper is that Trump relies on a charismatic leadership style to manage the presidency while Obama relied on transformational leadership strategies during his term in office. Leaders who possess charisma create the perception of success and self-confidence among their followers and arouse strong emotions from them (Williams, Pillai, Deptula, Lowe, & Mccombs, 2018). President Trump possesses the traits associated with charismatic leadership such as high extroversion, self-confidence and social self-esteem and an achievement orientation (Robbins & Judge, 2017). Charismatic leaders unite followers behind by communicating value convergence, which influences followers to more closely identify with them, by articulating a vision that links the present with a better future, and by demonstrating a sense of power and confidence necessary to fulfill their promises (Williams et al., 2018; Robbins & Judge, 2017). Charismatic leaders communicate value convergence with their followers by focusing on shared values that encourage harmony among their followers (Williams et al., 2018). President Trump communicates value convergence through strong patriotic sentiments, Judeo-Christian beliefs, and conservative aims such as enhancing border security and decreasing bureaucracy and red tape. Charismatic leaders also communicate a vision to their followers through a vision statement that encompasses their overarching goals and purpose and sets high performance expectations that boost their followers’ confidence and self-esteem (Robbins & Judge, 2017). The vision also serves to set an example for followers to imitate and provide mutual support to their leader (Robbins & Judge, 2017). President Trump has used vision statements in both his roles in office and as a presidential candidate. For instance, his infamous slogans “Make America Great Again” and “Build the Wall” are readily recognizable and convey clear and powerful messages to his followers. Both allude to his desire to restore a nationalistic pride he believes has been lost over the years to globalization and cultural fragmentation (although whether his vision is genuine is contestable). President Trump demonstrates charismatic leadership qualities not only by continuing to hold rallies long after his election victory, but also when it comes to negotiating international trade deals. On his first day in office, President Trump scrapped the Trans Pacific Partnership, a hallmark of Obama’s tenure, and has since renegotiated the North American Free Trade Agreement with Canada and Mexico. In this regard, Trump has used rhetorical strategies that portray him as sympathetic to working class Americans. For example, he has constantly communicated the vision of returning manufacturing and extraction industry jobs to the U.S. by negotiating trade deals that are more favorable to U.S. economic interests, and by using tariffs as a bulwark against perceived inequities in U.S. trade relations. He has also characterized himself as a deal maker who has the competence and know how to get the job done because he has years of experience in the business sector. While Obama could be described as using the same charismatic leadership that Trump uses, it would be more accurate to characterize his presidency as transformational leadership. Transformational leadership entails multiple dimensions in which leaders focus on the needs and values of the group or their organization and encourage their followers to exceed expectations for the sake of their group or organization (Dierendonck et al., 2014). The transformational leadership includes some of the dimensions of charismatic leadership such as inspirational motivation, which involves the communication of a vision, and idealized consideration (i.e. being a role model to followers), but it also adds intellectual stimulation (i.e. thinking of unconventional solutions and approaches to problems, individualized consideration for focusing on follower’s development, and personal recognition of followers’ performance (Dierendonck et al., 2014). Transformational leaders also tie their goals and expectations to higher ideals and moral values (Engbers & Fucilla, 2012). Like charismatic leaders, they tend to focus on the big picture and are confident and optimistic about their visions (Engbers & Fucilla, 2012). One way in which Obama used the transformational leadership styles is in framing political issues that could be divisive as one’s of national interest (Engbers & Fucilla, 2012). For instance, during townhalls and speeches before congress, Obama would address his group as “the American people” or “we” instead of framing issues as ones that only his democratic constituency should address (Engbers & Fucilla, 2012). Since Obama came to power during a financial crisis and subsequent recession he needed more than charisma to be an effective leader. In this regard, a transformational leadership style allowed him to not only use charisma to garner support, but also devise and execute effective strategies to spur an economic recovery. Thus, Obama not only had to communicate a vision of what he wanted America to become, he also had to devise specific policies to get there. The stimulus package passed during his first year, which included tax relief and subsidies to failing industries, is one such example. Another example is the Affordable Care Act to fulfill his vision of ensuring that every American has health insurance, although this never came to fruition. Robbins, S., & Judge, T. (2017). Organizational Behavior (17th ed.). Pearson Publishing.